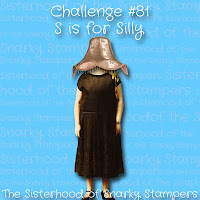 the theme for this challenge is "silly". I have added two types of washi tape, and an AI sentiment. 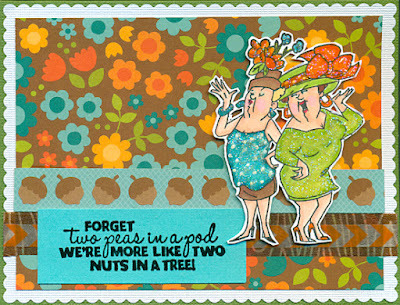 Love the old bitties and the floral design paper! Thanks for being our Queen!! You just can't go wrong with using an AI image and sentiment, especially if your aim is silly! This card is all kinds of awesome! 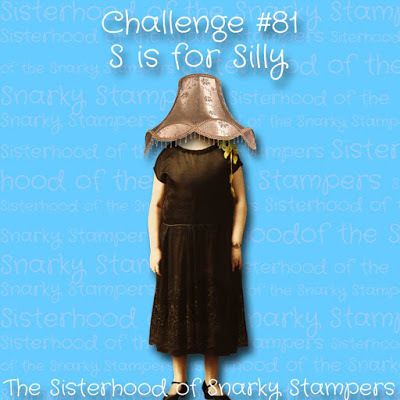 Happy that you are guesting with us at the Sisterhood of Snarky Stampers! Wonderful card! Great image and the paper is perfect in the background! Thank you for joining us at Brown Sugar Challenges.